Sol Cat Wins First Road To Bonnaroo Competition! Congratulations to local rockers Sol Cat who won last night’s inaugural 2015 Road to Bonnaroo competition. DeRobert & The Half Truths and Tesla Rossa gave them a run for their money finishing in second and third place, respectively. Mercy Lounge didn’t break out the fan votes versus judge’s votes this year, so we don’t know how the whole breakdown went, but, we do know that this marks a change from the 2014 competitions, where the final band of the evening (normally a death sentence) won every round of the event. 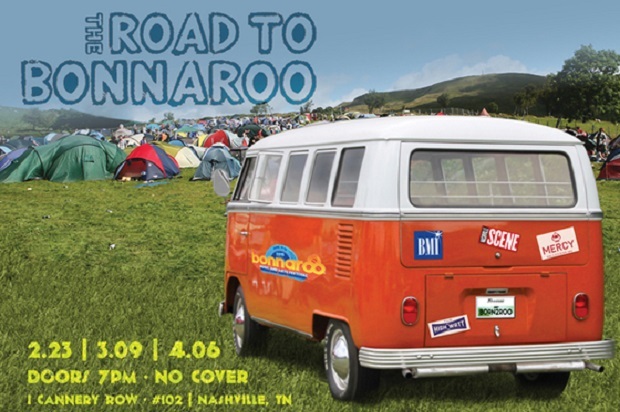 Road To Bonnaroo takes the idea of a “battle of the bands” outside the box a bit by encouraging showmanship and stage effects (and, often guest appearances) along with their performance to help woo the voters. The good thing for the voters… it’s a really fun night, and a great way to see 10 bands give it their absolute all. The next events take place on March 9th and April 6th, so go ahead and mark your calendar.